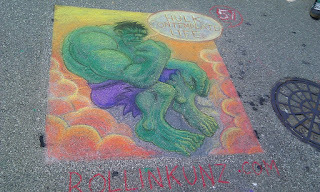 From my entry in the 2012 Chalk Art Festival: Introspective Hulk! 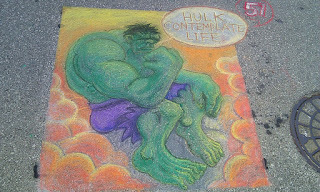 Hulk make many mistakes in life. Perhaps... Hulk can change?